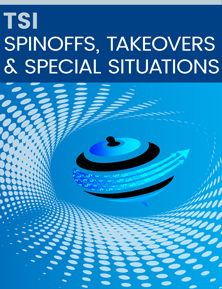 Get TSI Spinoffs, Takeovers and Special Situations monthly for just $39.97. ✓ Full online library of back issues, and more. Get TSI Spinoffs, Takeovers and Special Situations for 12 months for just $497. Your subscription includes all benefits listed above.